Cost to demolish a house varies greatly by region (and even by zip code). Get free estimates from excavation contractors in your city. Cost to demolish a house varies greatly by region (and even by zip code). Get free estimates from excavation contractors in your city. When a house has incurred enough damage or occupies a desired spot for a new building, sometimes your best option is house demolition. In this cost guide, we'll examine the average costs of demolishing a 1500 sq.ft. house, which is $18,000 on average. 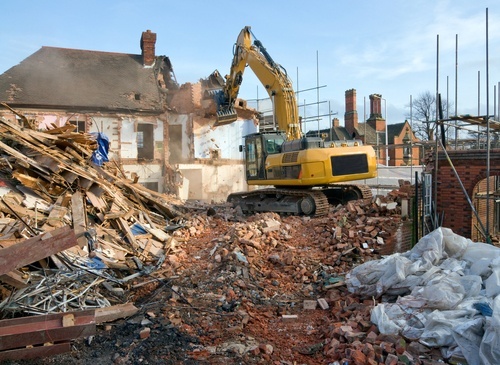 There are different types of demolitions and methods, some of which may suit your needs and property better than others. A total demolition entails the complete removal of a structure. For a 1500 sq.ft. home to be totally demolished, the average base cost is $14,250. If you would like to keep some of the existing structure but demolish the rest, you will need a partial demolition. Many homeowners do partial demolitions when they want to keep structures like a porch or a garage. This type of demolition can be more complex, and sometimes more expensive, than total demolitions because contractors will need to be more careful and employ special techniques to keep the remaining structure intact. Minor demolitions can start at $1000, but larger projects can exceed $70,000. This process involves the careful deconstruction of a building so that its raw materials can be recycled or reused in another building project. Average deconstruction costs start around $24,000, but donating the debris can give you tax benefits of $10,000 or more. In general, deconstructions are 25%-50% more expensive than total demolitions. Many demolition contractors charge based on the square footage of the building being demolished. This charge ranges from $4-$15 per square foot. Building materials have an influence on price as well, demolishing a home built out of full brick can cost three times as much as demolition of a house built from standard materials. If the property can't be easily accessed by the heavy machinery used in the demolition process, it could make the demolition process more complicated. You may need to arrange road closures, traffic rerouting, and the construction of temporary work structures. Your state, city, or county may require you to obtain permits prior to demolition. The average cost for required demolition permits is $200, and is usually included in the price of your demolition service. Keep in mind that permit prices are dependent on your location and can vary greatly in some areas. In Chicago, for instance, demolition permits can cost as much as $10,000. If you are planning to build new structures after the demolition, you may need other permits to proceed. You may be required by law to notify utility companies that provide services to the property you are demolishing. Utility service representatives will need to come to the property and disconnect/remove all utility connections so that the demolition can be done safely. This is usually included in the price of demolition and arranged by the contractors. Debris removal is usually included in the price for your demolition service. However, if your contractor doesn't include this service in their package, average landfill fees and debris hauling add up to $500 total. If you are planning to reuse the old foundation, you will likely need to repair it. Foundation repairs typically cost $5000-$7000. Total foundation removal costs $1000-$5000 on average. It will usually need to be followed by site grading if you plan to rebuild. Site grading 1 gives the land a flat, even surface. If you want your land to be levelled post-demolition, expect to pay $1000-$2000 per 1000 sq.ft. Your city, county, or state may have laws regarding the demolition of historic properties. Exemptions may be made for those that pose health hazards. Check with your local authorities to determine what restrictions are in place and what permissions you may need to get. Asbestos 2 and lead 3 paint must be removed. If your home was built before 1986, there is a big chance that it contains asbestos 2 and/or lead 3 paint. 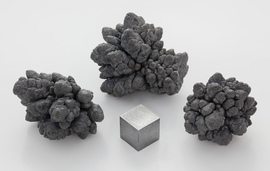 These toxic substances must be carefully removed by trained professionals with proper equipment and protections. Asbestos removal usually costs $200-$400 per hour, plus an inspection fee of $500. Lead paint removal usually costs $8-$15 per square foot. Old septic tanks may need to be dealt with when you demolish an old house. If you want to seal off the old tank, the cost can be as much as $5000. You should have a clear plan for what will come after demolition. If you plan to rebuild, you will need to prepare the site so that it's in a proper condition for starting new construction. Site grading 1, foundation removal, permit gathering, and other tasks may be necessary. You may need to hire an architect to help you with your rebuilding plans and process. 1 Grading: The process of evening out the ground's surface, making it either flat or sloped. How much does it cost to demolish a house in my city? Cost to demolish a house varies greatly by region (and even by zip code). To get free estimates from local contractors, please indicate yours.